It's been a busy few months here in Allie-land, and one of the things that kept me busy has been a secret - but now, the secret is out! 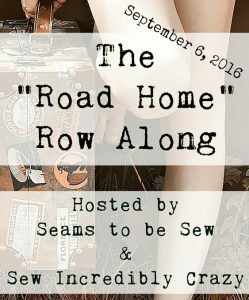 It's time for an awesome row-along and lots of give-aways, hosted by the incredible Marian from Seams To Be Sew, and Amy from Sew Incredibly Crazy! Twice a week, bloggers will have free pdf row patterns for you - all depicting our Road Home. 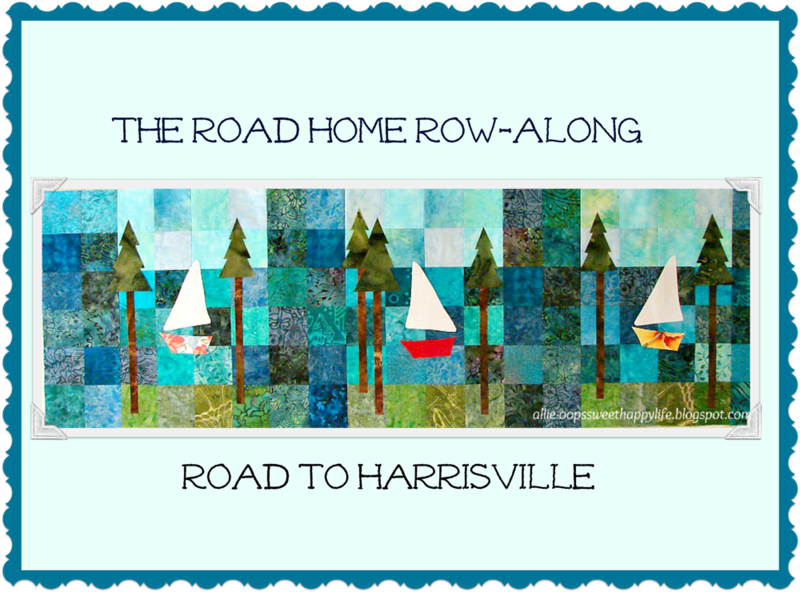 You'll have the opportunity to meet wonderful bloggers and designers, enter give-aways, and pick up the amazing rows - there's paper-piecing, regular piecing, applique, and embroidery. Something for everyone! I'll post the schedules here, and of course Marian will have them on her blog as well. Harrisville is home to the Huron National Forest, and is situated on Lake Huron. It has a Harbor of Refuge, and we used to walk along the beach from the cottage to the harbor. Sailboats abound, and my row is a picture of what you see along US23 [the Sunrise Side Coastal Highway], my favorite drive in the world. I remember driving up, hanging my head out the window like a puppy [before seat belt laws] at the first glimpse of big water, knowing that before too long we'd be "home"! My row is simple to re-create - just batik squares pieced together in columns, then adding the applique. I machine-stitched around the applique with blanket stitch. The pattern contains complete instructions, with pictures, and you can get it in my craftsy shop, link below. Now, how about a give-away??? 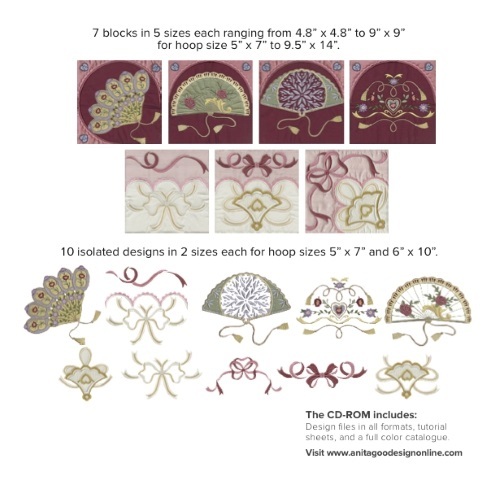 A gorgeous machine embroidery design cd from Anita Goodesign! Thank you, Anita Goodesign! They make such wonderful machine embroidery designs! There are three other designers uploading their rows today, all with give-aways to enter as well - check them out!! And of course, you need to visit our fearless leaders, Marian, from Seams To Be Sew and Amy from Sew Incredibly Crazy for more!!! So - what are you waiting for? Get busy clicking links, downloading patterns, and entering give-aways - I'll be back in a couple of days to give you more links! Looks Great Allie and such a wonderful row. I am thrilled you joined us for The Road Home. I hope you have a spectacular day. Very nice row, I like the pieced background. Thanks! Sure love your row Allie....thanks! love it Allie,my fav colours, and a perfect size for me to do, you have been so busy, and there are so many more rows coming up.Thanks for the wonderful free pattern. Combining piecing and appliqué is great way to make both shine! What a pretty row! I love the boats and the pieced background - perfect! What a lovely row. Thanks so much for sharing! Beautiful row. I love your colors and that background really works. Love your row! I'm so excited that the EQ isn't a requirement this year. I don't have a machine and do my embroidery by hand. I can't wait to see more! What a great way to kick off this blog hop! I love your design, and no wonder you couldn't wait to get to your favorite place! Thanks for the free pattern! Love the row! Thanks for them pattern. Great row Allie thank you so much. Great row - love the colors! Beautiful interpretation of your "home"!! Thank you for your lovely row pattern. Oh my Allie I love this row! This is the first I have heard of this blog hop need to check everyone's row out. Hope you are having a great summer and settling into your new home. Allie your row is simple...simply wonderful! I love the pieced background, the fabric choices, and the applique! I can picture a harbor filled with sailboats and wish I was there enjoying the scenery! Thank you for your row. Even sporting the first cold of the season, I am loving that row. What a great way to start the day. Your design is beautiful. I especially like the pieced background. I love how you appliqued your sailboats. Looks so relaxing in the pine trees. I Love Your Row. Lake Huron Looks Like a Great Place to Relax! Thanks Fir This Great Giveaway! Great row, thanks for sharing!! Living in NH, I too love your nature themed row. Allie, thank you for your beautiful row. I love seeing everyone's wonderful creations. Love the theme! Your block is beautiful! Love the Row Along!! A super great design! Thank you so much and thank you for this great giveaway!! I love your row. We spent our summers going to a lake in western Massachusetts. Many happy memories there.i have downloaded your row. Enjoyed reading your post. I am from west Michigan, haven't been to Harrisville, but might have to explore it some day. The pattern is lovely and yet so simple to make. Anita Goodesigns are wonderful. Love your row. I know where Harrisville is. My girlfriend and I spend a lot of weekends and vacations there when we were young. Her family owned 120 acres on the mail east west road. We loved to go down to the beach. Never a lot in the town, but just a lovely place to relax. They have a great quilt shop there now. Got to visit up there a couple years ago. The area has changed a lot. Thank you for bringing back a lot of memories. Great row! I'm a fellow Michigander too! What a great block to start us off. I enjoyed your story as to why you designed this block. I'm from west Michigan, have not visited Harrisville, but might have to some day. The block is great and I like the simplicity of it. Great job designing it. Thank you for taking the time to create an unique row pattern for us to print and enjoy. I love row quilts and this is very educational as well as unique. This is going to become quite the collector's row quilt. I will be trying really hard to try and win a happy dance prize. You live in a beautiful place. Your row is going to be fun to make. Love your row and sounds like fun to follow along, you ladies are going to keep me busy for another 10 years, lol. Great row and I think it represents Michigan wonderfully. Great row! I love the colors. beautiful row design and i have a bunch of blue batik scraps. Love your row, Allie and the neat giveaways! 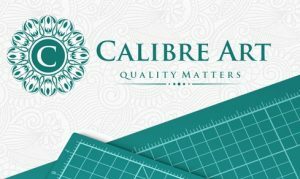 Just entered to win the cutting mat. Thanks! Love the row pattern and your choice of colors. Love the row Allie. The boats are really cute. Thank you for the pattern. Your row commorates a very nice summer memory - thanks for sharing. Oh Ally, thanks for the trip down memory lane with your block. I loved visiting the Hollyhocks Quilt shop in Harrisville and miss our home in Ossineke, Michigan since our move to Florida 4 years ago. Love your patterns and looking forward to seeing what else you have for us. What a peaceful scene, the sky and water blending together between the trees. I can just imagine how magical that would be. Your beautiful row makes me want to come and visit! What a wonderful scene for the row! I love it! Lovely row! I can see how this is your favorite place as it's beautiful. I live a long way from the ocean but a nearby lake sports a few sailboats from time to time. They are so fascinating. Great block. I love the idea of being so close to the water. Love your row and will definitely recreate it. In Michigan over Labor Day for the Big Mac Bridge Walk. It was great fun. I just love this row. Call it the colors, call it the sailboats. Call it perfect! I always love batik fabric and your row is oh so perfect for them. Thanks for the free pattern. Looking forward to such wonderful postings. Thank you. This is a great row. I can understand how the lake town is home. I was raised in a lake town and miss my home town a lot. Such a pretty row!!! I love it! I love the pieced background and the trees having tall trunks. This is a great row. I really enjoyed your story of how this was inspired by childhood trips. Thank you for a chance to win. Gorgeous row, Allie. Our "growing up" roads home always stay with us, don't they? Love the row! Thanks for all your hard work! Love your row!!! Will definitely make it. Thank you for sharing. This is beautiful, I love the trees and boats! Love your row. Thank you for sharing your pattern. I've never been on a blog hop but it looks like fun. Love the row design! I love how you were able to blend your fabric colors to create both the water and the land as well as the sky. Great job. Wonderful row. I am a Michigander as well. I love the sunrises over Lake Huron and the sunsets over Lake Michigan. I love the row and I live in Michigan also. Love the tall trees. Great row. I am looking forward to this Row Along! Thanks for getting me back in the groove! Your row is wonderful! I'm excited for this hop -- with all the different rows there ought to be a lot of variety in the quilts that can be created. Such fun! You HAD me when I read the name of the row-along was "The Road Home". Your design in lovely....thank you for this as well as a chance to win. Great giveaway......I am enjoying seeing the Row by Rows and reading about each community. What a fun road home! That is a darling row. Nice job. Wonderful row! I live in Michigan but I don't think I have ever visited Harrisville. Might have to take the trip soon. Thanks! Fabulous row, Allie. I'm a little late to the party today, but I love it all the more. Thanks for making such a beautiful row. Love your Row by Row. I love your Scrappy Harvest blocks too! Beautiful row! I would love to be on the lake sailing right now! Love your row, Allie! It reminds me of my home...I live in the woods along the Columbia River. I don't have a sailboat, but I do like to take my canoe for a paddle on the river! GLAD TO SEE SOME APPLIQUE THANK YOU FOR BLOCK. I like the trees in your row! Fun Blog Hop! I NEED a new cutting mat. How'd you know that? I've been following you on Craftsy for quite sometime now. Sweet postcards! Thanks for being so generous. I have faint memories of visiting Lake Huron as a child. Any large body of water was always fun, especially if it was clean water! Coming from home, living on the Mississippi River, the river is beautiful, but not the best for splashing around in. I love the pieced background! Great row. I would love to see this area, too. Thanks for sharing. Your row along is lovely. I love sailboats! What a lovely row! My dad loved and lived to fish, while we were only 25 miles from his favorite fishing spot, Lake Erie, his annual 2 week vacation saw us at a new and different place to fish. As to not waste his vacation traveling from our home in NW Ohio, they were generally in Michigan, Kentucky or Canada. At the time, spending my summers with my family fishing was about the most boring thing imaginable. But I learned that the fishing stories made me popular with the boys in high school :) And looking back, 45 years later I wouldn't change a thing. That's a beautiful row. I have memories like this of the St. Lawrence River in 1,000 Islands, New York. This really appeals to me. Thank you! Love your row Allie, reminds me of living along Lake Erie. Thanks for the giveaways. I enjoyed reading your road trip home. Beautiful row! Just found your site love love thanks for the chance. What a peaceful scene you set with your row. terrific. Oh I love this Row - thank you for sharing! Your row is so peaceful and lovely. Love it! What a wonderful story and row! Thank you for sharing it! What a sweet blog you have. I like you background picture on you blog. I feel the presents of God here. Your block is just beautiful. I love the background. So glad that you joined us for this hop. Your row is really pretty. Yours is such a wonderful block. Never been to Lake Huron but it sounds like a peace place to be. This is a gorgeous row Allie! Thanks! Oh...that is so neat. Been playing with that type of idea in my head and this is going to make it so much easier to do now!!!! I enjoy seeing what you're working on. Your flower quilt is bright and cheerful. Thanks for the giveaway. Looks great. I would love to create a row like this....love the batik background. Love your row! I live in N. MN, so it's perfect! Love the Great Lakes (grew up in Buffalo and am now in Cleveland)- really want to take my kiddos to MI to explore! Super peaceful block! Heading over to My Craftsy account! Looks like a fun Row! I love the story about hanging your head out the window to glimpse the water. Beautiful row! Thanks for the great row! I like anything to do with beaches and water! Looks like FUN! Thank you so much. I love your site and appreciate the giveaways. They help me when I win items stay in quilting. I love the blues and greens in your quilt. I can feel the water and fresh air! Thanks for sharing your beautiful work! I'm enjoying seeing how everyone came up with the row. this stinks, i justfound out about this row along, and your pattern is no longer there? i missed it..sighhh. i lived in greenbush for a many years...just found this row along. what a shame, my husband fished the harbor so often. you did wonderful with the row. The Road Home RAL Day 4, And A Winner! The Road Home RAL, Day 3!!! Day Two, The Road Home!